We’ve seen the name LG Gelato pop up on the T-Mobile rumor mill before and now we see that the LG-P699 destined for T-Mobile has received Bluetooth approval. 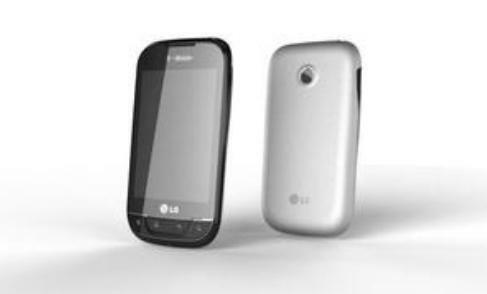 While the phone pictured looks a lot like the recently released LG Optimus Net we also have reason to suspect that the LG Gelato and Optimus Net are one and the same on T-Mobile. With clear T-Mobile USA branding on this leaked image further solidifying our belief that we are looking at a future T-Mobile device. Strangely enough however is the description on the Bluetooth certification site as “this model will be available on North America AT&T Market around August 2011.” That’s just odd with the T-Mobile branding in the image but we digress that this phone could end up on multiple carriers. For the moment we’ll stick with the image over the description since we like T-Mobile branding over promised AT&T release dates. Regardless of who carries the phone however, the LG Gelato has a 3.2″ HVGA display, 800MHz processor, 512MB of RAM, 1500mAh battery and Android 2.3. Not much of an Optimus “T2”. T-Mobile needs more and more high-range 4G phones!!!! Stop trying to deliver these week teeny bop phones and bring on the monsterous dual core 4’3 or 4’5 inch phones to the states now. well… our line up is pretty close to the competing carriers and honestly the sensation is still top dog. Even the aging mytouch 4G is still pretty premium compared to most of what you consider “teeny bop” phones. I think TMO is about right on its phone lineup. Keep in mind, carriers have to cater not only to tech guys like ourselves.Besides if you litter your market with 4.3 and 4.5 dual core phones, you take the super premium and the exclusivity out of the few handsets that meet that criteria. I’m sure handset manufacturers cut major discounts to carriers to keep their device on the top and in the spotlight for as long as possible. I will never never purchase another LG phone. Never. Another valued handset. But, I wonder with the LG brand and issue with the G2x, will people give this phone a shot. It looks great as a nice entry or beginners smart-phone….can’t wait to hear the all the comparison questions from customers reading blogs about other people experience with LG.